If video is hard news then slow motion video (slo-mo) is the op-ed page. Slo-mo is a special effects technique in which the action appears to be happening slower than its normal speed. Often used to lend versatility to a project, slo-mo can make the output more cinematic and artistic, add emphasis, ramp up anticipation, and focus viewers on the essence of a narrative. Slo-mo is a powerful tool, so use it to its best advantage—whether your video is a dramatic feature or product demo. The best way to get the most out of slow motion is to plan ahead—analyze how it fits into your overall narrative, action, and script, and plot where the effect will best serve your story. Even if you only thought about slo-mo after the fact, you can still simulate the effect in software. You can shoot with dedicated consumer videocams from Canon, GoPro[index company=GoPro], or Panasonic, but depending on your project, you may require a higher speed camcorder. Slo-mo is perpetually popular with viewers, and with the release of slo-mo video features on smartphones like the iPhone 5s, recent Samsung Galaxy models, and entries from Motorola and HTC, suddenly everyone can be a special effects videographer. There are plenty of instructions out there telling you how to shoot, edit, and share slo-mo video, so rather than replicating the play-by-play, let’s consider compelling use cases and best consumer practices. First, let’s be clear on what slo-mo actually is. In the days of film, slow motion was achieved via a technique called overcranking. The camera operator would crank the reel faster to boost the frame rate while shooting, and then run the film at the normal rate, making playback look slower than normal action. The same principle stands for digital media today. The slow motion examples below, which were derived from YouTube, were shot with a variety of cameras and camcorders under a range of conditions to show how effective a slo-mo narrative can be. To achieve slow motion with digital video cameras and DSLRs, you record at a faster frame rate and then play back at a normal rate. While 24 frames per second is a standard movie recording speed, many of today’s smartphones can record footage at up to 120 fps. When you play the footage back at the normal speed, you can see the full slo-mo effect. Apps such as SloPro, Videocraft, and Videoshop on iOS or Slow Motion Video and Movie Maker on Android accelerate the slo-mo smartphone trend by adding capabilities to older models. 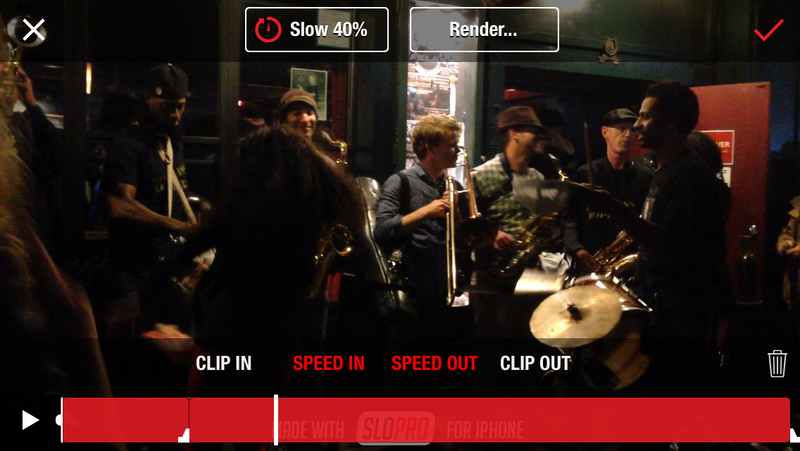 Smartphone apps for iOS and Android give you the slo-mo effect. SloPro is used for this example. How do you plan a video that employs slo-mo? Here are some general parameters. Lights: Try to have optimal lighting for the slow parts of your movie (indeed your whole movie, too). The slower playback speed will emphasize the highlighted content of your footage, and if the video is poorly lit, the effect will suffer. If you’re on the street filming your masterwork, available light may not offer abundant lighting choices—unless you’re carrying proper lighting gear and are game for a more elaborate setup. Give even more careful consideration to slo-mo if you’re planning your scene to be at night or in a dark environment. Camera: Make sure that your camera specs match your project. Typical DSLRs from Canon, Nikon, and Sony all record video of at least 24fps at full HD for varying lengths of time. But higher frame rates often diminish resolution. Smartphone cameras such as the iPhone 5s record HD video at 720p. High quality consumer camcorders typically offer full HD at 60fps. Make sure your recording equipment is up to the task by checking your specs carefully. 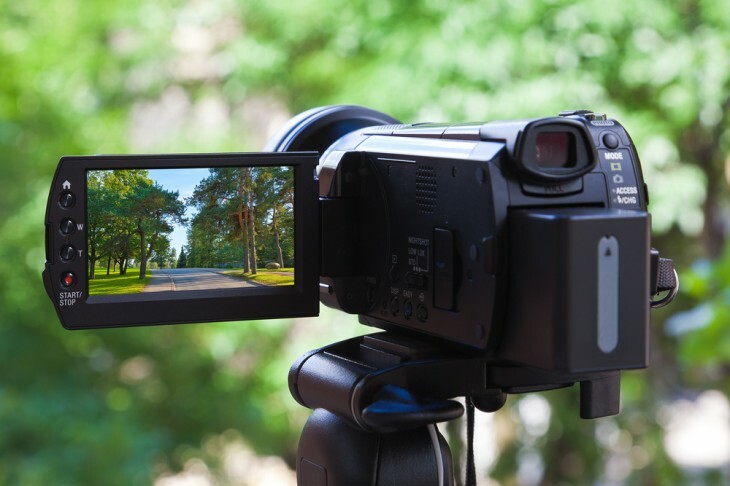 Depending on your subject, you may need to buy or rent a higher speed video camera capable of accommodating your project. Action: As with any special effect, the point gets lost if it’s overused. Determine the optimal time(s) to introduce slow motion. With product demos, for example, it’s possible to get away with inserting several slow motion sequences for instructional purposes. However with a more artistic or conceptual piece, you’ll likely use it only once. In a sports scene, there’s always discretion in how to slow down the action. Because shooting for slo-mo is not the same as normal video, try unhinging your camera from the tripod. There will be plenty of leeway for handling those higher frame rates. Consumer DSLR-type cameras can be used to shoot video, but make sure their specs match your needs. Here are some general guidelines on what slo-mo frame rates work best in various scenes. These are just starting points, so tweak these to suit your own project. 60fps: The native high speed you’re most likely find on consumer and prosumer DSLRS and camcorders. 120fps: The default slo-mo speed for sports and other fast action. 300fps: Used for common visual narrative such as walking or other ordinary action. 600fps: This speed starts to look a bit surreal, mechanical, and less realistic. 1000-1200fps: Generally used for explosions. 5,000-10,000fps: This effect would depict footage like a bullet or shattering glass. If you do not have a camera with a high enough frame rate for the effect you seek, you can turn to software packages such as Adobe Photoshop, Premiere Pro, and Apple Final Cut Pro on the high end and Adobe Premiere Elements and iMovie on the consumer side to simulate or augment slow motion. Video editing software like Final Cut Pro lets you slow down selected parts of your video. These software packages all do essentially the same thing; they add frames into the video timeline to produce more frames per second than you actually shot. With your video loaded into a software program, you can specify the speed you want and software interpolation will take care of the rest. While software simulation is not the same as genuine slo-mo shooting, sophisticated software packages can do an able job, nonetheless. Viewers are always thrilled to see something they would not ordinarily perceive with their own eyes. Whatever your editorial aims in using slow motion, a combination of careful planning, good scripting, proper equipment, and software skills will assure that your visual point gets across in the way you intended.